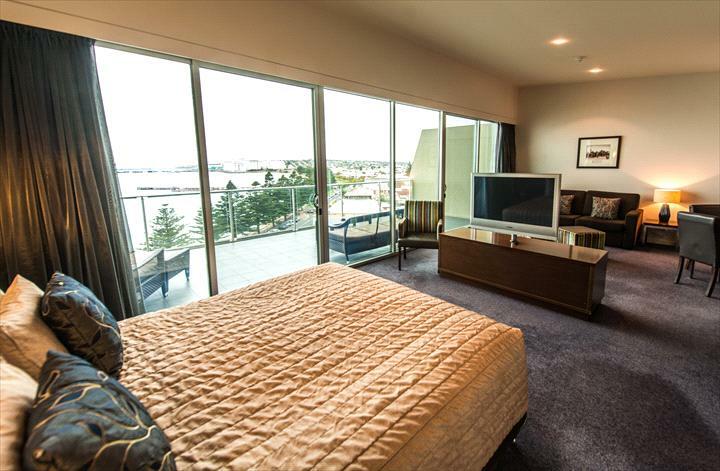 Boasting majestic ocean views of Boston Bay or the township of Port Lincoln, our spacious rooms and suites are the ultimate getaway. Experience absolute comfort and blissful sleep on a genuine feather/down bed topper, private ensuite bathroom, work desk, tea/coffee making facilities, free Wi-Fi and a flat screen TV with cable channels. The hotel also features a Wine Cellar and Bottle Shop, Gaming Lounge, Live Entertainment, All Day Dining, State-of-the-Art Function & corporate facilities and free on-site parking. 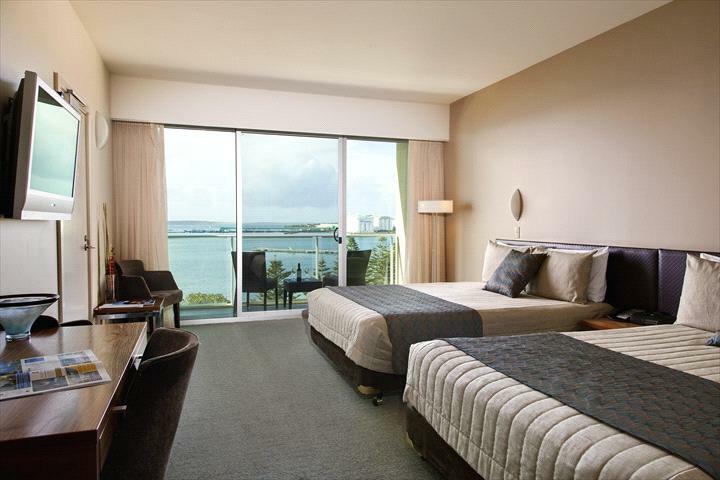 Rooms range from Superior Town View rooms designed for an affordable getaway to exceptionally spacious Luxury Ocean View suites and includes family bunk rooms, inter-connecting rooms and disabled access rooms. Rooms range from Superior Town View Rooms designed for an affordable getaway to exceptionally spacious Luxury Ocean View Suites. We also offer family rooms with bunk beds, inter-connecting rooms and disabled access rooms. 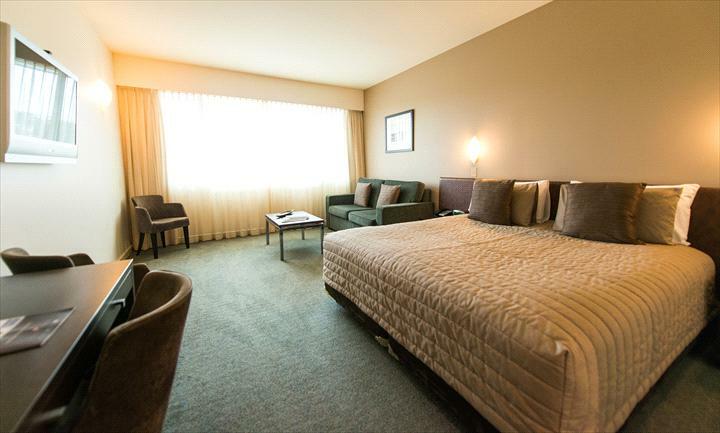 The range of accommodation offered by the Port Lincoln Hotel is matched only by the diversity of our clients' requirements. Rooms range from standard Town View rooms designed for an affordable getaway to exceptionally spacious Luxury Ocean View suites with king size beds, spa bath and private balcony. Family rooms with bunk beds or inter-connecting rooms for families are available and disabled access rooms can also be requested. Please note, reservations can not be confirmed if accommodation is booked after 5pm on the same day as arrival. The hotel boasts a convenient 24 hour reception, in house Sarins Restaurant and all day dining facilities, Premium wine cellar in our Bottle Shop, Gaming Lounge, Live Entertainment, State-of-the-Art Function & Corporate Facilities, FREE Wifi and FREE on-site parking. 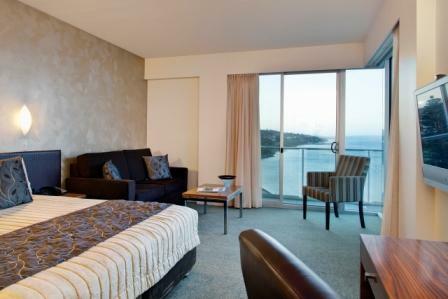 Situated on the corners of the hotel overlooking either the township of Port Lincoln or Boston Bay. Rooms feature a king size bed, spa bath, bath robes, TV, complimentary Wifi, sofa, desk, mini bar, tea & coffee making facilities, iron, hairdryer and personal in room safe. Luxurious and spacious spa suites are located on the 6th floor of the hotel with private balcony overlooking Boston Bay. Rooms feature a king size bed, spa bath, bath robes, complimentary Wifi, TV, sofa, dining table & chairs, mini bar, tea & coffee making facilities, iron, hairdryer and personal in room safe. Overlooking Boston Bay from your private balcony your room features a king or 2 x queen size beds, complimentary Wifi, TV, mini bar, tea & coffee making facilities, iron, hairdryer and personal in room safe. Overlooking the township of Port Lincoln your room features a king or 2 x queen size beds, complimentary Wifi, TV, mini bar, tea & coffee making facilities, iron, hairdryer and personal in room safe. All registered guests must be over 18 years of age. A credit card swipe is required at the time of check in for all bookings. Valid ID must be sighted on check in for all online or pre-paid bookings in the corresponding registered guest booking name. Rooms will be held until 6pm on the day of arrival unless guaranteed with a credit card or deposit. Cancellations inside 24 hours from date of arrival (2pm) will incur a cancellation fee of one nights accommodation. During special event periods and long weekends the hotels cancellation policy is extended to 48 hours. No show bookings will be charged one nights accommodation with subsequent nights cancelled immediately. All guests must provide a credit card for a pre-authorisation swipe on check in (unless all charges are covered by a company or agent charge back). For all third party and voucher bookings valid identification must also be provided. All credit card charges incur a 1.5% surcharge. Guests will be responsible for settling their own accounts if charge backs are not received prior to check-in. The hotel cash/EFTPOS policy requires full payment of accommodation plus $100 per night at the time of check-in.